Think about how you begin your day. Are there certain things that happen for you to feel awake and ready to tackle your day? Coffee, a shower, quiet time? Our morning routine can set the tone for the rest of the day. What about your children? Do they have certain “rituals” during their day? From the beginning, we probably create routines with a newborn. We may feed her in a certain chair every time. We may sing the same songs at bedtime or use the same loving voice when we change his diaper. It is during these early routines that we develop close relationships with our children. They know that they can count on us to meet their basic needs. It also allows us to truly be in tune with our child’s responses. Routines help young children know what they can expect next. This helps them feel secure and gives them stability. They can also feel more relaxed and calm. It is important to understand the difference between a routine and a schedule. A schedule is a general timetable of how you would like for your day to happen. For example: 9 a.m. playgroup, 11:30 a.m. lunch, 12:30 p.m. nap, 3 p.m. grocery store, 5:30 p.m. dinner, 7:30 p.m. bedtime for kids, and then quiet time for parents. A routine can be described as the usual sequence for a set of activities, but it is not usually attached to times on the clock. For example, in the morning you get up, get dressed, and eat breakfast and before going to bed you take a bath, brush your teeth, and read a book before going to sleep. Routines are usually repeated every time, but schedules can change from day to day, especially on the weekend. As children grow and develop, they can take on some of their own tasks within a routine, such as washing their hands or feeding themselves. They may also begin to resist certain tasks because they don’t want to stop what they’re doing. Think of a wiggly child who doesn’t want to stop playing to get his diaper changed. Routines can also help in day-to-day family life and reduce household stress. If a young child’s routine includes putting toys away after she plays with them, she may be more willing to help clean up tomorrow, and the next day, and the next. This does not happen automatically. It takes consistency and repetition from caregivers. Establishing a routine can happen naturally. Think about what usually happens in the morning and what changes you would like to make for the morning to run more smoothly. Once the routine feels like it is working, stick to it. Evening routines also can prepare you for the next day, such as laying out clothes. Weekends provide a different schedule, but with similar routines, children can manage change. 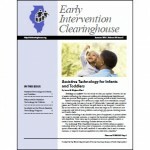 Early intervention (EI) services are provided by a team, including parents. 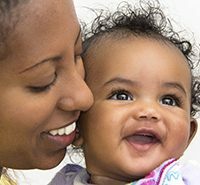 Once the individualized family service plan (IFSP) is in place, EI providers begin services to address the identified outcomes. EI visits usually last only an hour, so most of the intervention is done by parents and other caregivers without the providers present. Parents might often wonder how they can continue and support the work of the EI providers after the visit ends. At the end of a visit, families can request a visit report that outlines the activities that were done during the visit. This report may also include ways that the activities can be practiced during the family’s daily routines. When can I work on this outcome/skill during my day? What materials will I need, if any? It might also be helpful for the team to record this information so it can be referenced between visits. One way to do this would be to list all of the routines that the family would use and then outline the strategies that can be addressed during each routine. The chart below outlines possible strategies that can be incorporated into different routines. This process is called embedding strategies into daily routines. 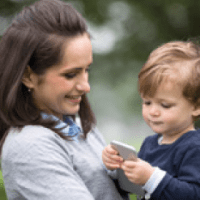 By asking yourself the above questions, you will soon be able to find strategies and activities that are appropriate for your child and family. With enough practice and planning, this may even become a natural part of your daily routine!